What do your goals have to do with Black Friday? Americans embark on the biggest shopping day of the year on the day after Thanksgiving (dubbed “Black Friday”). Enthusiastic shoppers map out intricate plans to capture the greatest deals on their favorite items. They even have backup plans they rely on if things don’t go their way. What if you used the energy and focus of a Black Friday shopper to plan out your goals and desires for the coming weeks, months, and years with the same intensity of someone planning a 4 am trip to the mall? Think of it like a screaming deal at your own personal store of abundance and success. 1. Store bought goodies are ready for you to enjoy right away, whereas the goals in your talent store can be unlocked, but it will require you to move some things around, build, clean, and work. 2. Marketers have some a great job of showing us how their magic product or service will make your life better. They get you to visualize yourself enjoying the benefits of using their product or service. Most people look at their lives through the lens of their current situation; not the way they can design them to be. Hire yourself as your Chief Visualization Officer for your future. Invest a few minutes every day focusing on not only what you want…but also how you will deal with situations when things do not go your way. More details in When Was the Last Time You Did Something for the First Time? There is a ton of buzz surrounding new gadgets, toys, and trinkets. People are eager to tell you how awesome their new television, phone, or toy is. Surround yourself with people who embrace that same level of excitement about their goals and success. That mastermind group that you will build to help you take your life to the next level in every way won’t be all rainbows and unicorns…but it will be a cornerstone to your success. No matter how you define success, it requires work, focus, and planning. This entry was posted on Wednesday, November 23rd, 2016	at 2:39 pm	and is filed under motivation	. You can follow any responses to this entry through the RSS 2.0	feed. You can leave a response, or trackback from your own site. What do your goals have to do with Black Friday? 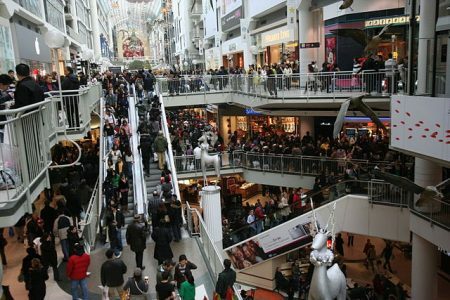 Americans embark on the biggest shopping day of the year on the day after Thanksgiving (dubbed "Black Friday"). Enthusiastic shoppers map out intricate plans to capture the greatest deals on their favorite items. They even have backup plans they rely on if things don't go their way.